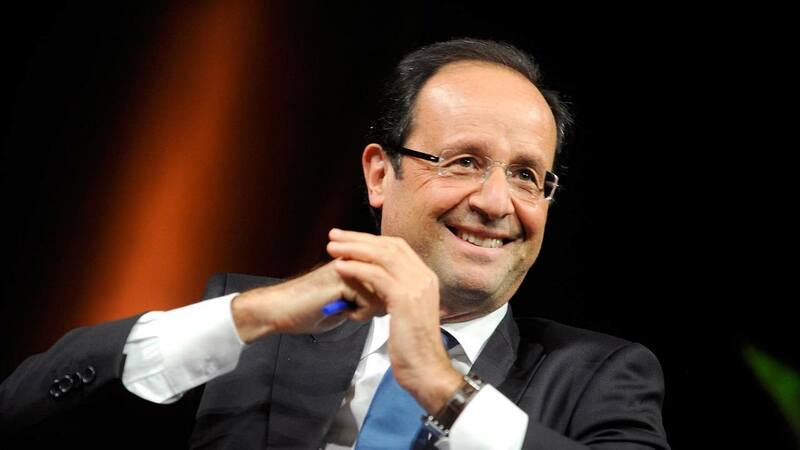 Francois Hollande won the French 2012 presidential election for his Socialist Party on May 6. One of our beloved readers, Uberqueenofwands accurately predicted his success on another post about France, “I can’t see Hollande not winning this election!” She goes on to say “He pretends to be of the people but he’s a very regal man indeed!” I assume this is because he has a Sun Pluto conjunction in the sign of Leo. Lets have a look at his horoscope and the transits for the election. Francois does have Sun conjunct Pluto which exudes power, but it doesn’t need to make a big song and dance about it. It’s mere presence is enough to ensure obedience and submission. I’m not a big fan of Sun signs but I’ll let Uber have this one, only because his Sun and Pluto happen to also be in the constellation of Leo! His Sun is in the Mouth of the Lion, the star is Ras Elased Australis, “an appreciation for language and a power of expression”, but it can also make him “bold, bombastic, cruel, heartless”. I suppose dumping your partner of over 30 years, one month after she lost the 2007 French presidential election “heartless”. The Ascendant is most important in the horoscope as it defines the purpose of the soul. His AC, or rising star is The Eye of the Bull, Ain in the Hyades star cluster, “Striving for prestige leading to power politics leads to tremendous success in life if bridled, if not, failure and a fall from power. May exploit other human beings in quest of power.” So Francois will have to keep a lid on that intense Sun Pluto in Leo to avoid negative repercussions. There is a fear in the financial markets and I expect in Germany that his socialist agenda will cause more economic ruin and hasten the downfall of Europa. The last solar eclipse (02°37′ Sagittarius) sextile his Venus have extra charm and popularity, always good for a popularity contest. The previous lunar eclipse (18°11′ Gemini) sextile his Sun gave more self confidence and authority. The April 21 new moon (01°35′ Taurus) was conjunct his AntiVertex, worth remembering. For the week leading up to the election, he was under the influence of the April 29 quarter moon (9°29′ Leo) conjunct his Mercury which would have increased his mental alertness and greatly helped in debating and communicating his message. It also activated a great aspect in his chart, Mercury sextile Ascendant, he really can express himself and present himself very well. The full moon on election day (5:35 am in France) was trine his Jupiter, very fortunate. It was also sextile his Moon giving a boost to public popularity. Another transit of interest was Pluto conjunct his Part of Fortune. We don’t all get this in our lifetimes but it is a good one. Susan Boyle had this transit when she went on that English talent show and shot to fame. Perhaps you’ll do us the equal service of providing an analysis of Sarkosy’s failure? How about Greece? Why is austerity so unpopular in Europe? Because it’s not working. We have covered Greece HERE and the prognosis is not good. I don’t think I’ll get back to Sarkosy, don’t like the look of him it’s all over anyway. Spain would be the next most important one to look at I think, even Germany would be very interesting. Ha ha Jamie! Nice of you to “let me have that one!”. You do right. I am Sun Pluto conj with Mars and Regulus too! That POF conj is interesting. I noticed that he won the election on the anniversary of the death of guillotine mad Maximillian Robespierre. The photos of Paris after the result reminded me of paintings of storming the Bastille! Hollande had four children with his former partner but I don’t believe he married her! His delicious Gemini asc is conj Aldebaran. As he has Mercury sextile his asc and Aldebaran he’s a good wind up merchant! He certainly managed to wind Sarkozy up. I saw the tv debate and I’d say it was shameless trolling! Sarkozy fell right into it. He should have held up his hands and exclaimed “Quel mervellieux petit Lutin!” … What a marvellous lttile goblin… And infuriated the Sun/Pluto conj! There’s an almost perfect rectangle in his chart of Eris,the MC, Venus and Mercury so he’s well capable of fencing people in with his tongue by throwing them a golden apple to fight over. Saying he hates the rich and tempting Frnace with an alternative to austerity is a game plan for him! He’s got a very austere moon in Capricorn opposite Jupiter and Urans conj. if we allow an orb of 3 for Sirius, Jupiter is conj. he also has a yod from Aldebaran on the asc and Mercury to the POF ! Using a Placidus 8 th house his POF and Node are in the 8th. Nothing he loves better than taxing other people ‘s money to support his Leo largesse!. I think I can see a golden yod from Neptune and the POF Toni’s asc and Aldebaran too? With Pluto on the PoF now… He’s got the ability to deeply sway the sleeping masses. Lordy! I’m getting my knitting needles out for a front seat. By the guillotine! I’m off to the SALT for two days. It’s the largest telescope in the southern hemisphere. I’m looking forwards to more on Francois. I expect Europe to be in meltdown when I return!!! Well looked in much more detail at his chart than I did. I see the markets are down in Paris today. So meltdown is a real possibility. I guess a lot depends on his meeting with Merkel which must be coming up soon. And IT’S NOT A DELICIOUS GEMINI ASC! It’s DUPLICITOUS!!! Thank you, this is truly fascinating. My POF is 11 degrees Capricorn – I am now breathless with anticipation! Of course, my POF is also exactly conjunct Saturn; Pluto conjunct Saturn sounds less happy, but then, Saturn seems to be lucky for me. I had this transit when I got into astrology on the internet, it coincided with when a psychic I saw 15 years ago said I would be successful. Saturn and Pluto should mean large scale, I have the conjunction on my AC in about 5 or 6 years I think. There is an eclipse opposite that Saturn Pluto conjunction too. Should be interesting! And very glad to see you’re well again (and sorry to be late with the good wishes, I’m just catching up). Take good care of yourself. Do you have Merkel or the many Germanies Jamie? Haven’t looked into it yet Lin but I do have Nick Campions Book. The awesome power of the Supermoon on election day relative to his chart was a critical factor of the election result. The Trans Pluto on his natal Part of Fortune is rare , good point. When Gillard won the Australian election the transiting Part of Fortune was conjunct her natal Sun at the moment the election ended. The extra empowered Supermoon was also in a house of gain in Hollande’s chart at the peak of the Full Moon. It fell in his 11th lunar house. Ding ding ding we have a winner. That is a tough to beat hand of cards. Thanks for your report , good stuff. As good as the Full Moon was for Hollande it may bestow negative effects on Assad of Syria. Could effect his health or may be in danger of attack. Being a sun sign, Leo, conjunct Pluto, these days I am less willing to bash people for their failings, perceived or otherwise. To me, we are all flawed, or so it seems to the casual viewer, and working, knowingly or not, on something. . . I am kind of tired of the us vs. them mentality. Thumbs up, thumbs down, hero/villain, good guy/bad guy reaction. Some say, we are here to not be our chart, but to transcend it. To not be our limitations. That feels right to me.